Planning for a garden at the White House began with President Washington, who expressed a desire to plant a botanical garden. Washington purchased the land for what is now the South lawn from a tobacco planter named Davy Burns, while the North grounds originally belonged to the Pierce family. As the first President to occupy the White House, John Adams ordered the first planting of a garden. 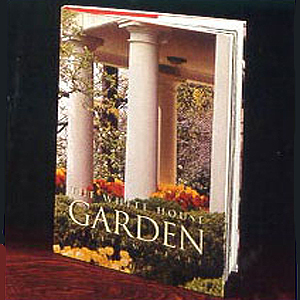 The White House Garden by Willaim Seale contains the story of one of the most famous and historic gardens in America. Richly illustrated with original plans, historic images, and beautiful four-color photographs of rolling lawns and colorful seasonal displays at the White House.